Lego has been making its unique building blocks for over 80 years. During the company's more recent history, it's added Lego people to accompany its block sets. Typically these sets have suggested rather specific and stereotypical gender-based targeting, e.g., pirates for boys and princesses for girls. 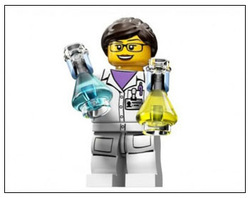 Recently, however, Lego introduced a series of female scientists, thanks to the request of one very young consumer.